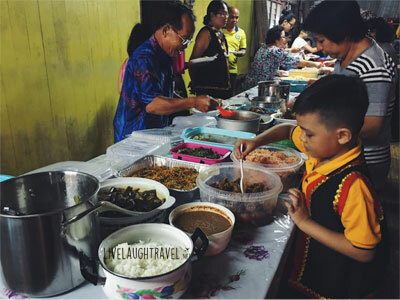 This week, our Singapore Food Blog & Travel Blog sent our Travel Writer, the very pretty Qing Yu, to Kuching – the capital of Sarawak, to experience the celebration of Gawai with AirAsia. Born and bred in Singapore, I think it’s pretty safe to say I’ve always been more or less a city person having never really experienced anything else. I’m not ashamed to admit that I love my creature comforts, having a good telco connection, heated water and air conditioning. 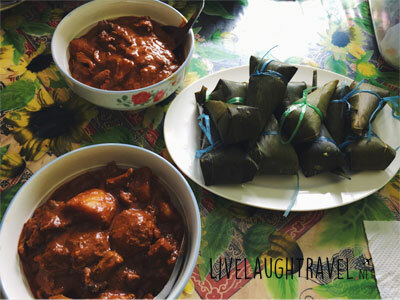 However I’m always up for new adventures so when Alvin asked if I wanted to go to Sarawak to write about their (then) upcoming Gawai Festival, I jumped right on it. After a 90 minute flight from Singapore, we arrived in Sarawak. Prior to this, I never knew anything about Borneo/Sarawak/Kuching except for what I saw on Nat Geo which mostly highlighted Borneo’s lush and untouched greenery. 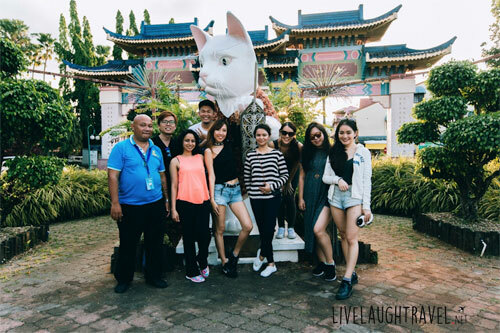 We were brought on a brief city tour of Kuching upon landing which of course had to include Sarawak’s famous laksa and cat statues. 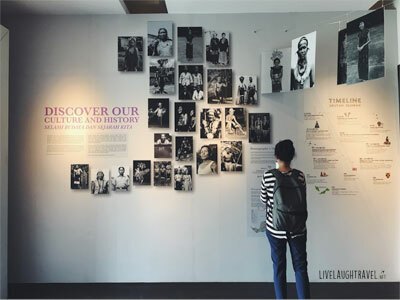 With a full belly, I was more than ready to be educated about the history of Sarawak so we headed to the Sarawak state museum. 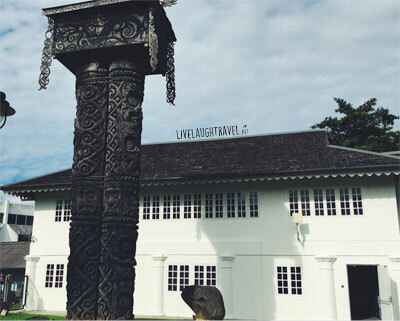 A former burial ground, visitors will find a detailed history of Sarawak dating back 40,000 years with the oldest remains in Southeast Asia found in Sarawak’s Niah caves to its 19th century colonial rule under the white Rajahs. The Dayaks (Borneo’s indigenous people) used to practice headhunting rituals – the ancient tradition of taking and preserving enemy tribes’ heads with the belief that the soul or life force resided in the head. 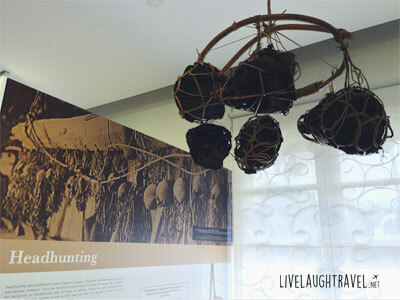 This was said to bring them power, prestige and a bountiful harvest of paddy, hence it was commonplace to find wreaths of heads on display in the longhouses of the locals. Headhunting only stopped under the rule of Sarawak’s first white rajah, James Brooke, whose rule had a distinct impact on the culture of the natives seen most markedly through their conversion in religious beliefs. Most of the Dayaks converted from Islam to Christianity thus making Sarawak the only Malaysian state whereby Christians outnumber Muslims. 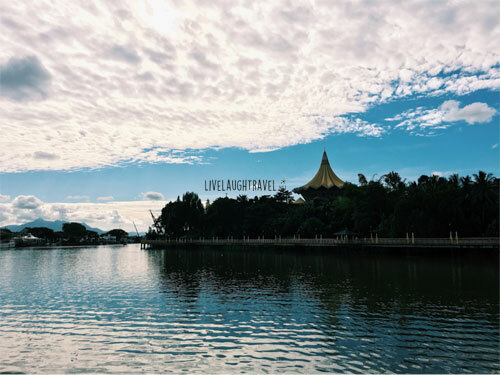 We were staying at the Imperial Riverbank hotel set in a great central location especially for those who want to explore Kuching by water as they provide a river cruise within walking distance. Growing up, I had a friend from Indonesia who told me that her family used to keep Orangutans. I never fully realised the implications of keeping an endangered animal as a pet till we visited the Semenggoh wildlife centre. The name Orangutan derives from the malay word “Orang” (person) and “Hutan” (forest) therefore “person of the forest” and it isn’t hard to imagine why they’re so desirable as pets with their quirky mannerisms and beautiful reddish brown hues. 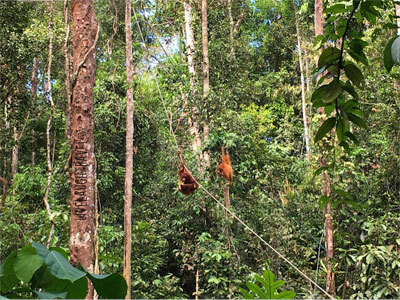 Keeping Orangutans as pets has been a major issue not just because of their dwindling population (104,700 Bornean Orangutans left in the wild) but also due to their inability to survive in the wild after people abandon them when they mature into adulthood. The wildlife centre rehabilitates them by helping the orangutans relearn how to climb, find shelter and feed themselves in the hopes of releasing them back into the wild with a good chance of survival. If you want to see these beautiful creatures, their feeding times are from 9am to 10am and 3pm to 3.30pm. March to August is the best time to catch a glimpse of them because the lack of fruits in the forests help lure them out. 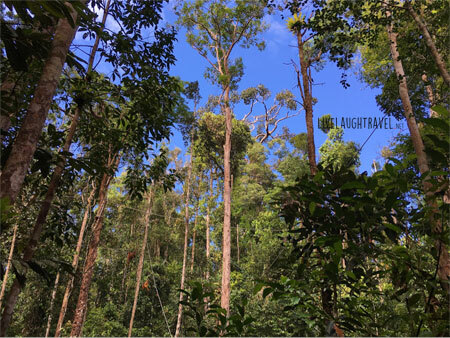 With Semenggoh being a wildlife reserve and not a zoo, it is not always a guarantee that you’ll get to see the orangutans when they’re called but fingers crossed for your visit! Okay so as I mentioned earlier, I’m quite the city girl through and through. “I’m not the biggest fan of insects” is a severe understatement and when I heard we were going to be staying at a kampung with a communal living space in the middle of nowhere, I was really apprehensive. I have never been to or even heard of longhouses before so naturally I imagined the worst. Upon arrival however, I was so pleasantly surprised. The people at Annah Rais Longhouse greeted us so warmly and took us in like we were family. 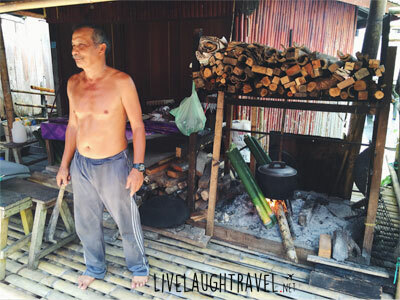 We were taken on a tour of the longhouse to give us some insight on how the Dayaks live. 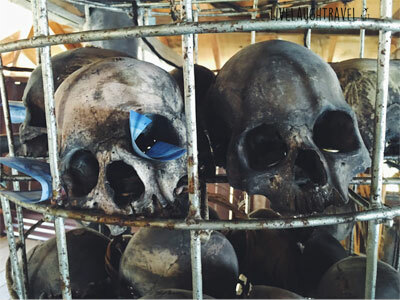 We were then led to the headhouse or Panggah where most of the skulls from headhunting are kept. These trophy heads are now used for wish fulfillment by visitors hence the money stuffed in their eye sockets. 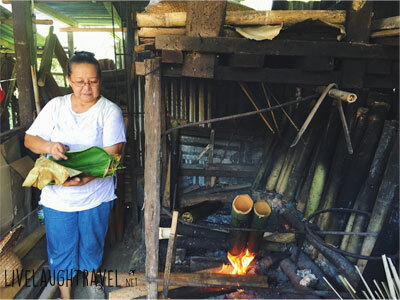 The Dayaks still prepare their food the traditional way with bamboo. Shortly after our home cooked meal, it started to pour and it really was quite a sight to behold. Lush stretches of trees with no buildings, no traffic and nowhere else to be. 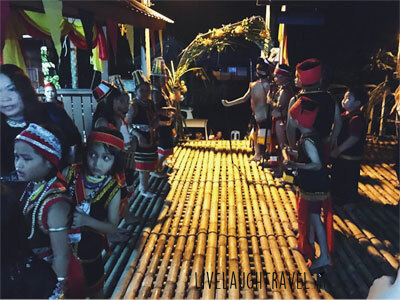 We joined the locals that night in their celebration of Gawai eve – an annual public holiday from the 31st of May to the 1st of June for locals to be merry and most importantly, to give thanks for a bountiful harvest. The village chief and guests of honour are greeted with a dance after which dinner is served potluck style with every family’s representative dish laid out on a long table. 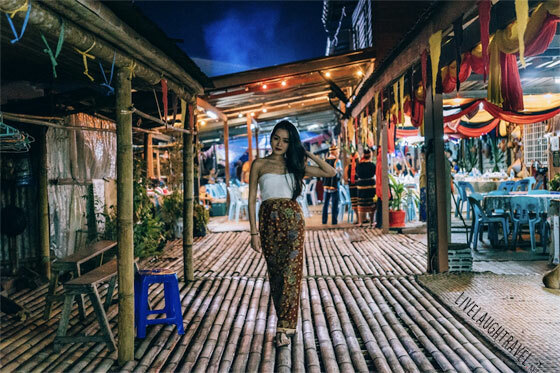 The main drink of Gawai is the Dayak rice wine called Tuak – a liquor the locals distill themselves. Won’t go into any further detail about Tuak except that it’s absolutely delicious, deceptively strong, and we all probably had too much. 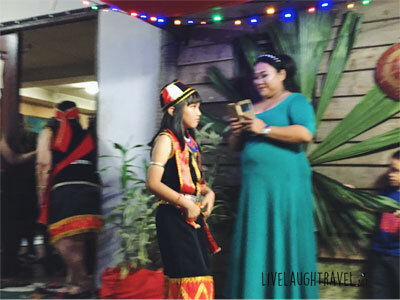 After dinner, the festivities continue with a beauty pageant where the local children display their traditional costumes and a king and queen were eventually chosen. There’s also a band and open mic for any aspiring singers and the night concludes with dancing and fireworks to usher in Gawai. 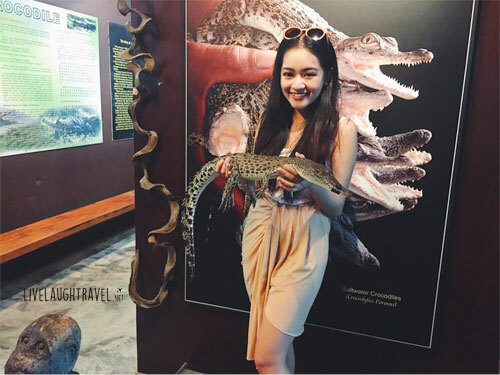 We went back to the city and to a crocodile farm the next day and though I’m not a fan of these scaly beasts, I couldn’t resist getting a photo with one. If you’re keen on heading to the crocodile farm, more details can be found on their website. 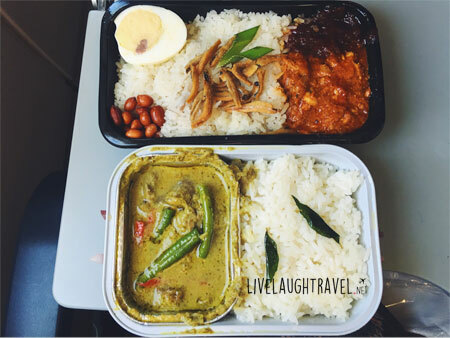 We had to head back to Singapore far too soon though the inflight meal was pretty good consolation. 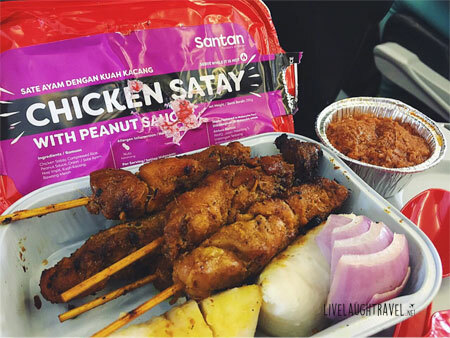 I mean what other flight serves satay skewers this big am I right? Going into this trip, i’m going to be completely frank and just say that I wasn’t expecting much. I was all too ready to dismiss the whole thing until we got there and I realised just how narrow minded I was being. 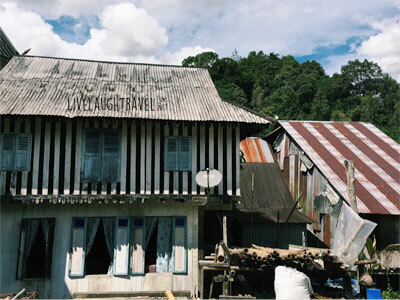 Though Annah Rais is considered a more commercialised longhouse, it’s refreshing to see how little the locals care about what we may find necessary or appealing. So much of the time, we have our eyes glued to our screens, obsessively scrolling through endless posts of social media gibberish, clamouring to update one platform to the next. Ironically, the devices that were made to help us connect make us forget to live in the moment and stay in tune with ourselves and nature. 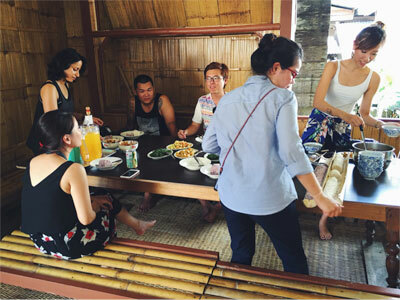 For anyone interested in a new experience, to rejuvenate or just get away from the city for a bit, a homestay in one of these flourishing communities could be just the thing you need. A big BIG thank you to AirAsia for bringing us on the trip, our most patient guide Antoni and luck for blessing me with the most lovably rambunctious group of travel companions one could hope for. If you too intend to visit Kuching/Sarawak, Airasia has direct flights there from just SG$88. 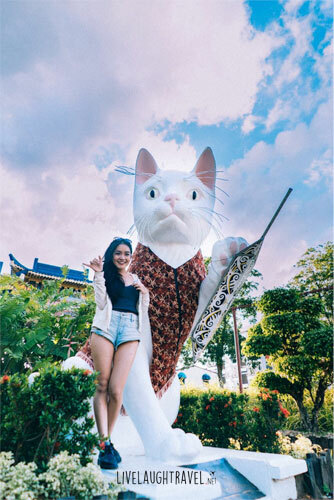 Check out AirAsia’s latest promo flights to Kuching HERE! 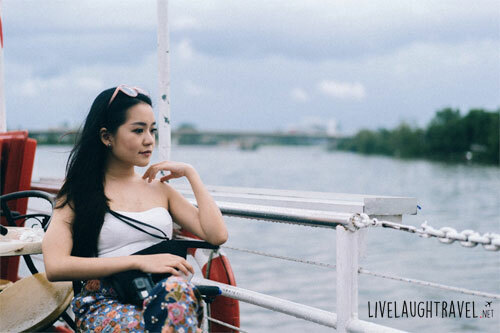 Want to join Qing Yu and get to travel around the world as Livelaughtravel’s Travel associates? 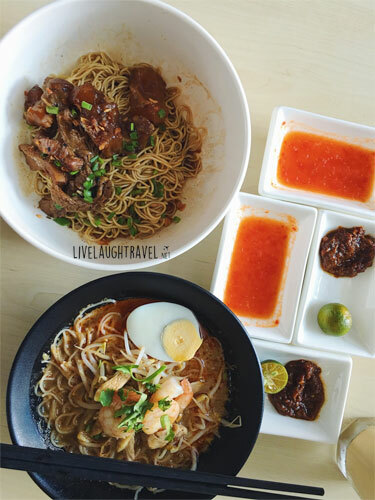 Read more on how you too can be our Food / Travel Writer.